“Just stand there and don’t move,” our guide instructed us. I looked down at the line he drew in the dirt with his stick and wondered why three lions would choose to pay attention to such an artificial device. My dogs don’t listen to me, why on earth would a lion? My brain screamed danger as the gate opened and the two females and one male lion scampered up the path, like puppies let out into the yard to play. This wasn’t their first walk though and they ignored us completely as they entered the bush. I’m naturally skeptical when it comes to animal experiences. I’m usually preoccupied with worry that the activities aren’t helpful to the animals and in the worst-case scenario that they may actually be harmful to them. 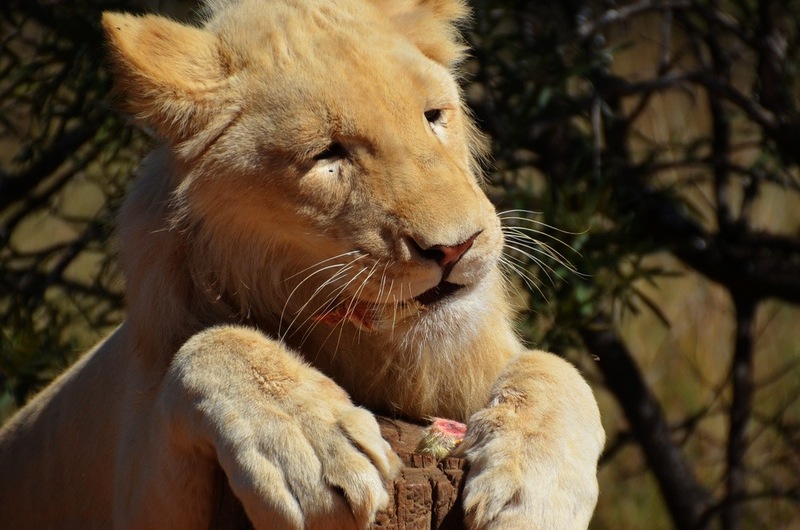 I’ve been metaphorically bitten before and I’m definitely shy when it comes to planning a wildlife experience, which is why I was cautious when I arrived at the Ukutula Lion Park outside of Johannesburg, South Africa. As I said, I’m a skeptical guy and I’m fairly sure most animal centers that include programs with tourists aren’t always done in the best interest of the animals. That being said, from everything I’ve seen and read, Ukutula seems to be a genuine research and breeding center. Their focus is on genetics and lions’ immunity to a variety of diseases, with the hope of helping the countrywide population. Ukutula runs a variety of programs to engage guests, from voluntourism opportunities to day visits. I was there for a day visit, to see the lion program in person and to walk with them in the wild. 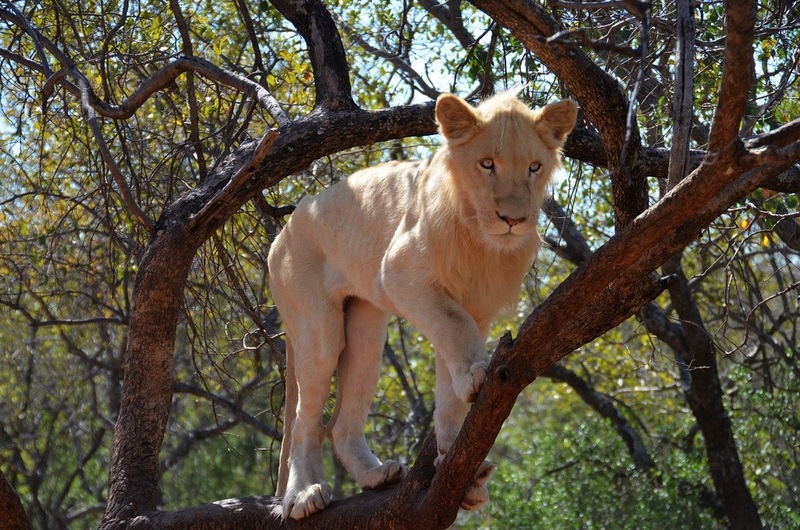 Ukutula sits on 260 hectares, more than enough room for a few lions to roam around. The process is fairly straightforward. 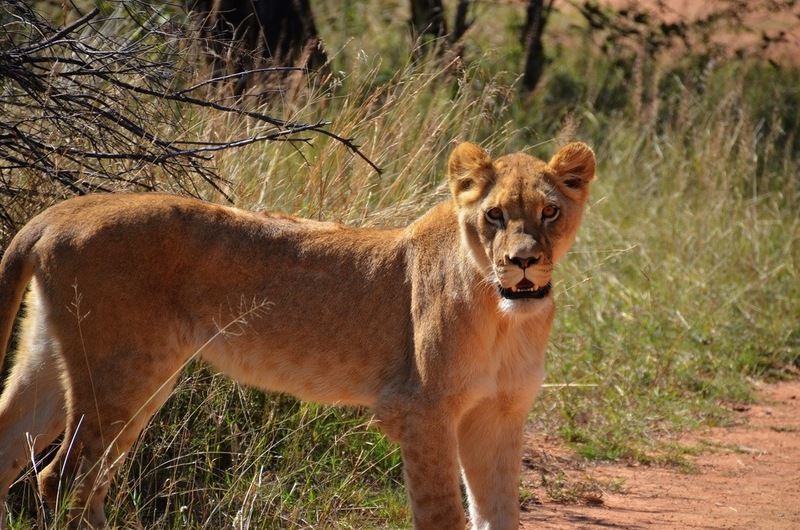 The lions, along with their ranger walk down a path with the tourists (me) and our guide following at a safe distance. 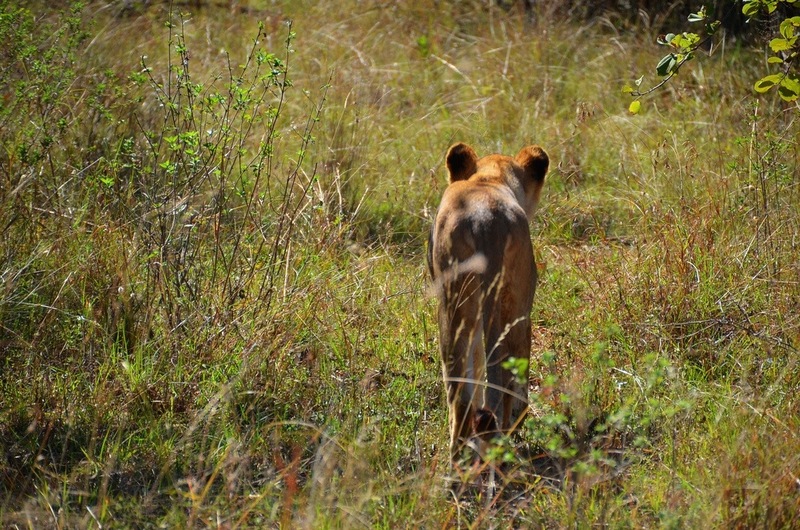 The lions are free to do as they wish, wander around in the bush, do some hunting, whatever their lion hearts desire. At several points on the path the ranger feeds the beautiful creatures some raw meat; presumably so that the aforementioned tourists can get better photos. 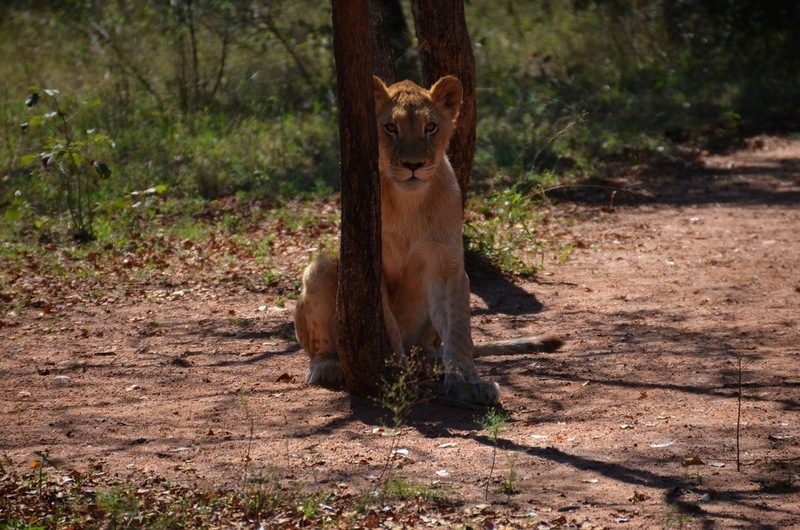 More than once the lions turned around to stare at us, goodness knows what was going through their heads. 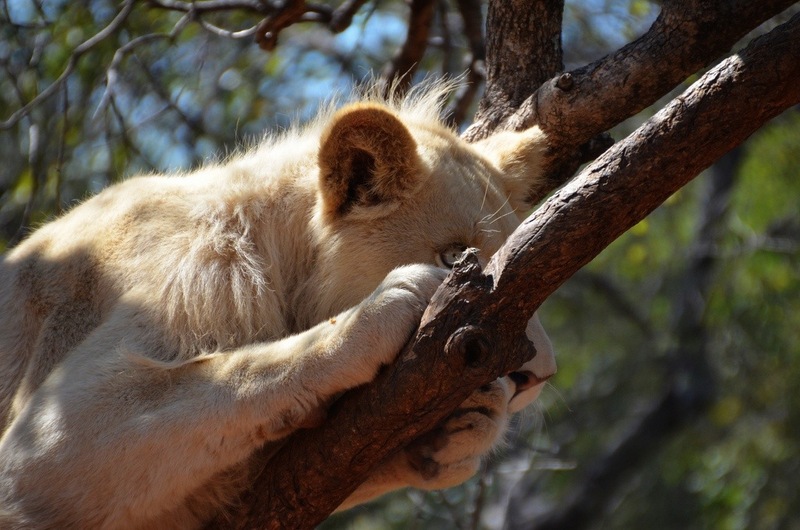 I never felt in danger and even though the experience was a bit contrived I didn’t get the impression that the lions were unhappy or not actively engaged. I could be wrong of course, it’s happened before. 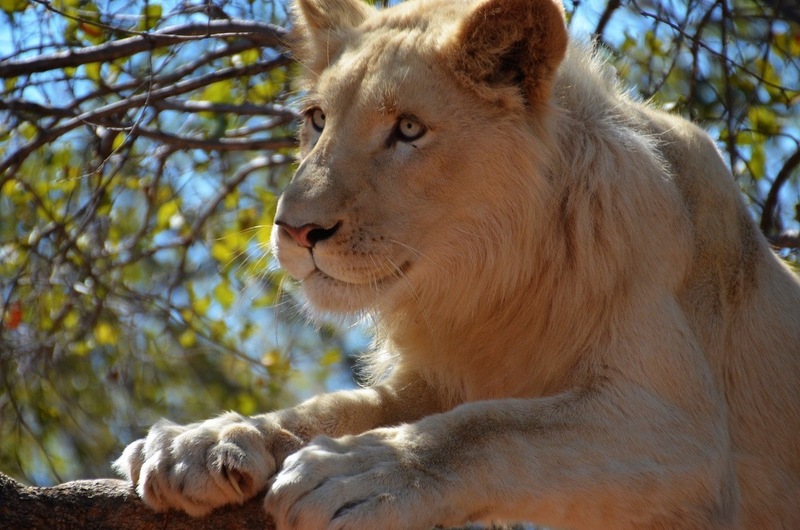 A visit to Ukutula though is about much more than just walking with lions. Following our stroll in the bush we had the opportunity to visit the nursery, a den of uncontrolled cuteness. 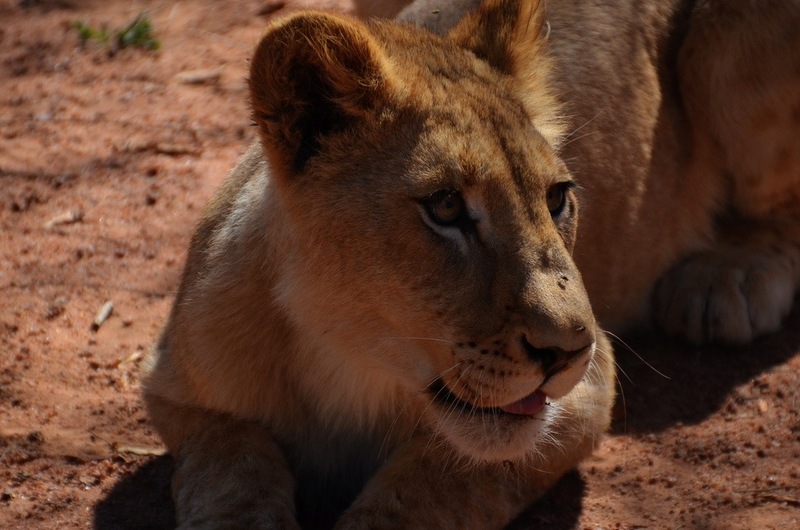 The opportunity to cuddle a baby lion was remarkable and something I’ll never forget. What may seem odd though were the tigers kept at the breeding center. Tigers of course aren’t native to Africa, and these were rescued from a private farm from an individual who was mistreating them. The rescued tigers have since had cubs and watching the lion and tiger babies play together in the nursery was an amazing sight to behold. Holding them wasn’t awful either. Ukutula has a wide variety of cats at the center, including lynx and leopards, each there to aid in the education of others and to find ways to help the species better survive in the wild. Overall I enjoyed my time at the sanctuary, although I’m still paranoid about the experience. I’m just so concerned about wildlife conservation that I approach everything with skepticism, and it’s no reflection at all on Ukutula. In fact, from all accounts they seem to be doing anything right. Located less than an hour from Johannesburg and Sun City, a visit there makes a perfect day trip, although for the real deal nothing of course beats a visit to one of the many nature reserves in South Africa. 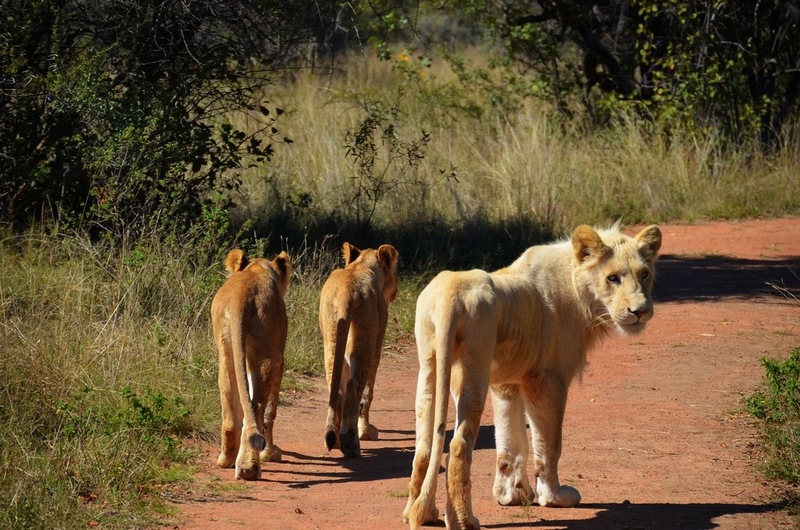 Would you walk with lions in the bush? These photos are absolutely amazing!!!! What an unforgettable experience! I share your lukekwarm approach. We visited a cheetah conservation project near Cape Town and I felt terribly sorry about the wildlife there… the animals felt absent minded while a line of tourists waited for their snap while only 1 out 20 read the visuals about the cheetah project. As you say, nothing can beat the real thing in national parks and conservation areas. Sometimes close is too close if you start wondering what happens to the cute little cats when they grow up. Well said Jordi, it’s a tough thing to reconcile sometimes. I agree about being unsure of the idea of sanctuaries and places that allow humans to interact too much with the wildlife. It seems like they are doing a good job of finding a balance, though. We did this at Vic falls (Zimbabwe). It was with lion cubs though. Only four people total. I loved it! OK. So you use the word “hectare” with authority. What does it mean in terms of acres? Outside of the Bible, who uses it? What a great article highlighting the beauty of lion walking and putting to rest the negativity around lion walks.